Philip La Rosa, an artist of great integrity, determination and talent, has a lived experience that is imbued with the resilience and wisdom necessary to delivering stories that trace troublesome paths back to the source of that which animates us. 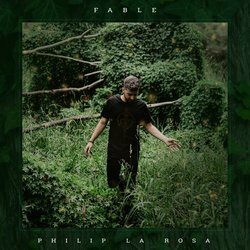 After finding success with his previous singles, Pride and Drowning, Philip La Rosa has now released new single Fable. The strength of La Rosa’s creative will has seen his journey from performing arts school and being a part of national productions lead to entrepreneurial ventures and being an advocate for mental health and LGBTI issues. The Fremantle-based artist finds his greatest source of fulfilment in song, which has inspired his latest release. Philip launched his viral single, Pride, in 2016 after collaborating the Banton Brothers who co-wrote and produced his debut EP, Strong. Being buoyed by the support Pride, La Rosa sought the talents for rising producer Taka Perry for his emphatic and resoundingly successful single Drowning, released in support of Mental Health Day. Fable is rich in self reflection and signals La Rosa’s power as a new-romantic, exuberant and earnest. This exploratory piece of synth-pop bounces the mysterious off of reality and turns life into folklore.